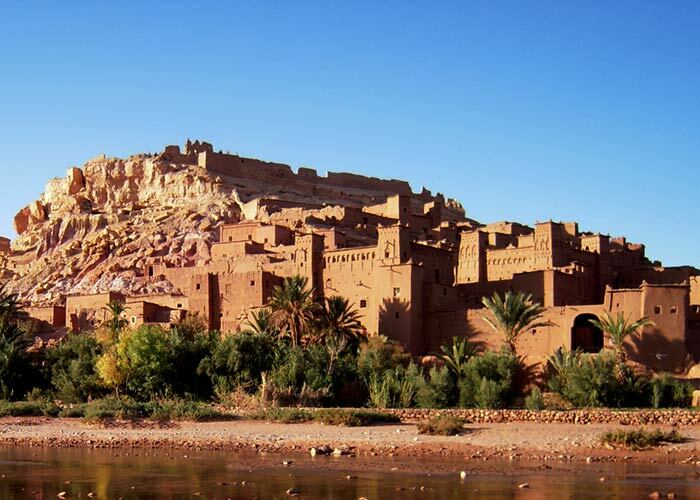 Excursions with Berber Travel Adventures are different from other tour experiences. You’ll encounter firsthand the beauty and hospitality of Moroccan culture by visiting real Berber homes in the villages of the High Atlas mountains south of Marrakech. You’ll spend an afternoon, two days, or more meeting the people and learning about their lives. Our excursions aren’t about camels and palm trees, but discovering another way of life. 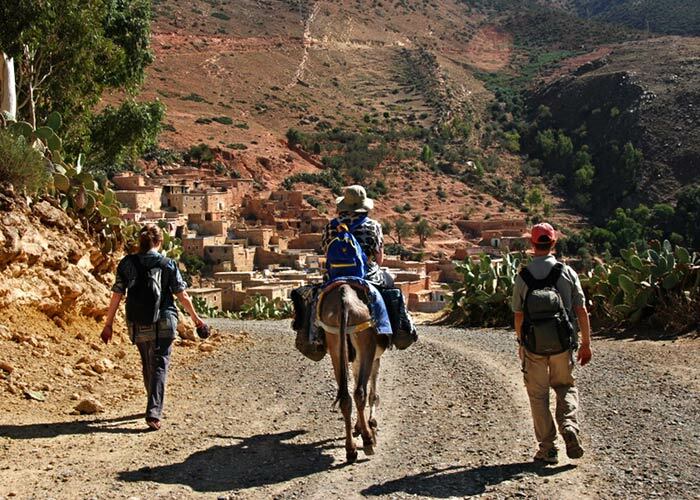 The perfect day trip from Marrakech, our most popular excursion will get you out hiking in the morning and back to the city by the evening, all while giving you a firsthand opportunity to experience Berber village life. 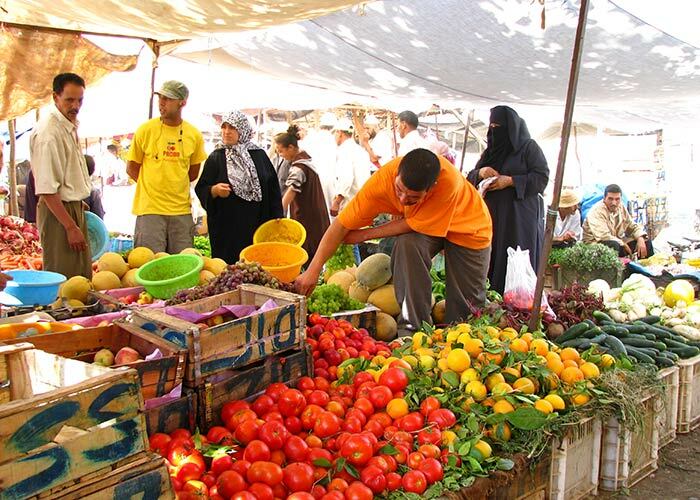 Every Tuesday, experience the largest Berber weekly market (souk) in the region as villagers come to Amizmiz from miles around to sell their produce, livestock, meats, spices, packaged goods, clothing, and more. Stay overnight in the home of a Berber family while learning about the life, culture, and daily meals of the mountain villages. 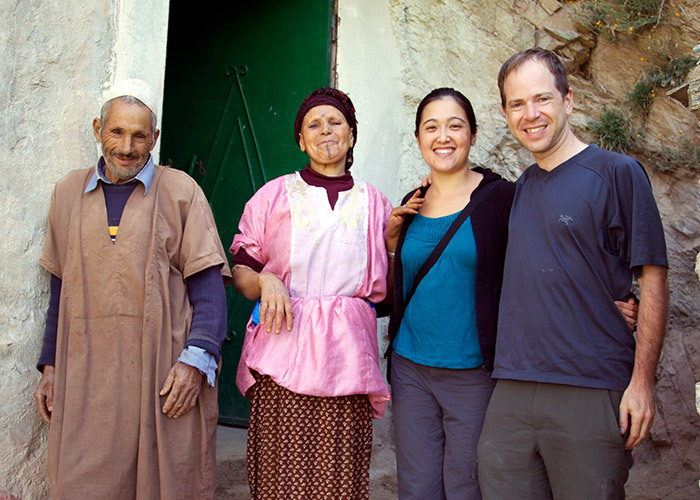 You’ll have plenty of face-to-face personal contact and get to see several Berber villages. Spend a number of days experiencing the beauty and culture of Morocco’s southern region. We can create an itinerary that gives you an unforgettable survey of Moroccan life on the edges of the Sahara Desert. We’ll get back to you fast. You won’t be in the dark. We’ve hosted student groups and families with kids. We offer day trips or multi-day excursions. We can take couples, families, or large groups. have enjoyed our excursions. Here are a few. I would thoroughly recommend Berber Travel Adventures. You are not simply buying a hike you are buying a view through the doorway of Moroccan culture....It gave me a valuable insight into how one part of the world lives. The family was very welcoming and nice, and it was interesting to see how they lived....Jamal was all the time very patient and kind and answered all our thousands of questions. He has great knowledge and is a very good guide. We really enjoyed our two day trek....I wish we would have done a longer trek....Meeting the people in the Berber villages was really an adventure. They were always very friendly and inviting. We liked the excursion very much. It was our first time in Morocco and now we have this photo on the wall in our house. The staff from Berber Travel Adventures took really good care of us. We loved everything about the Atlas Mountains: the people, the place, our guide....We really felt so lucky to have seen such a beautiful part of Morocco with such a great guide. A special treat was visiting two Berber villages en route....Our guide Jamal was friendly, helpful and spoke English very well....The hike was the highlight of our stay in Morocco. We can definitely recommend this tour to others. We have trekked in several parts of the world....We appreciate the competence of Berber Travel Adventures....and we wouldn't have missed the beauty of the Atlas mountains and the warmth and hospitality of the Berber people for anything.